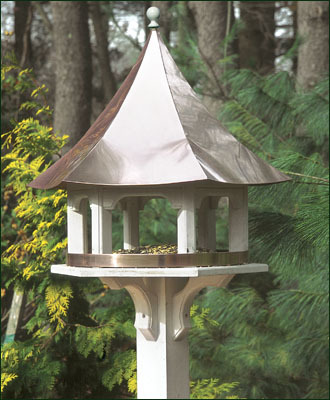 The graceful roofline of this feeder is even more beautiful in person~this feeder is sure to add a classy touch of elegance to any garden or backyard! Add an elegant tropical touch to your patio or lawn with this iron mesh pineapple bird feeder! 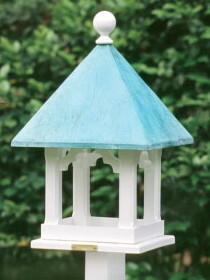 Protected from rain and snow, birds are sure to enjoy frequenting this feeder! 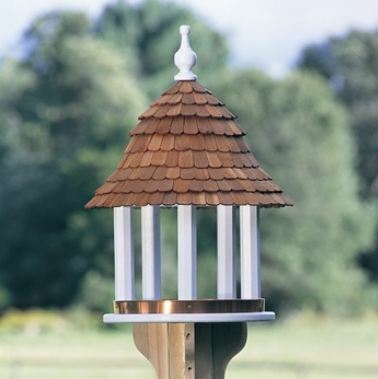 With it's spacious fly through design and rustic yet classy cedar shingle roof, it's sure to be a popular addition to any backyard or garden! 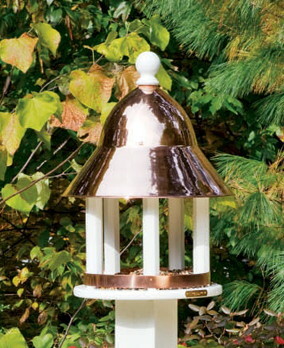 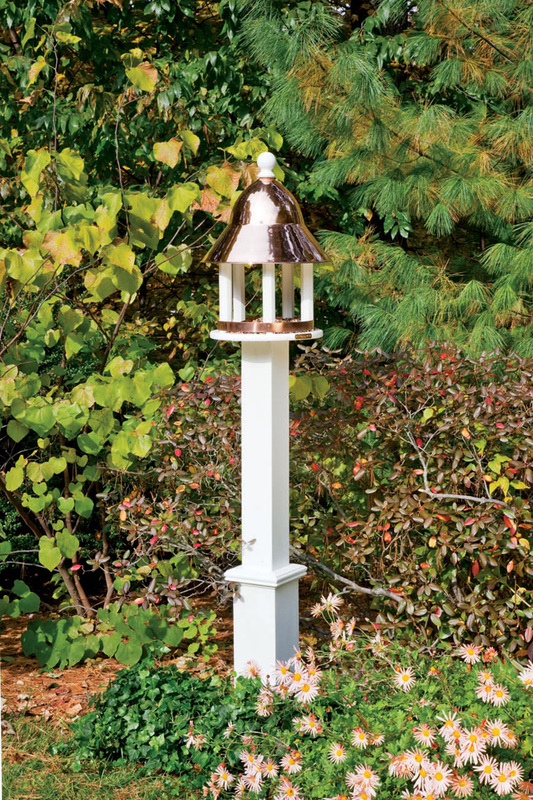 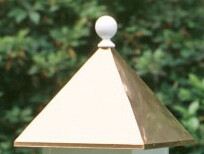 The classic clean lines of this feeder are an excellent addition to any decor while topped with either a polished copper or blue verde copper roof. 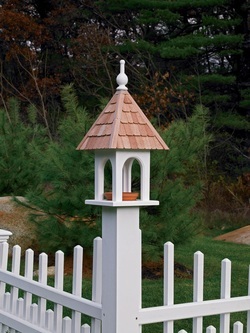 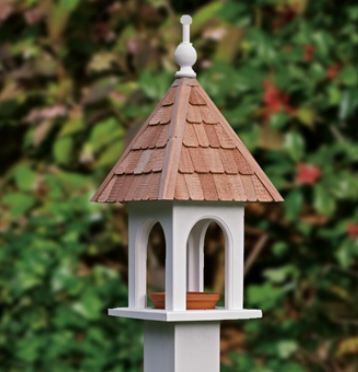 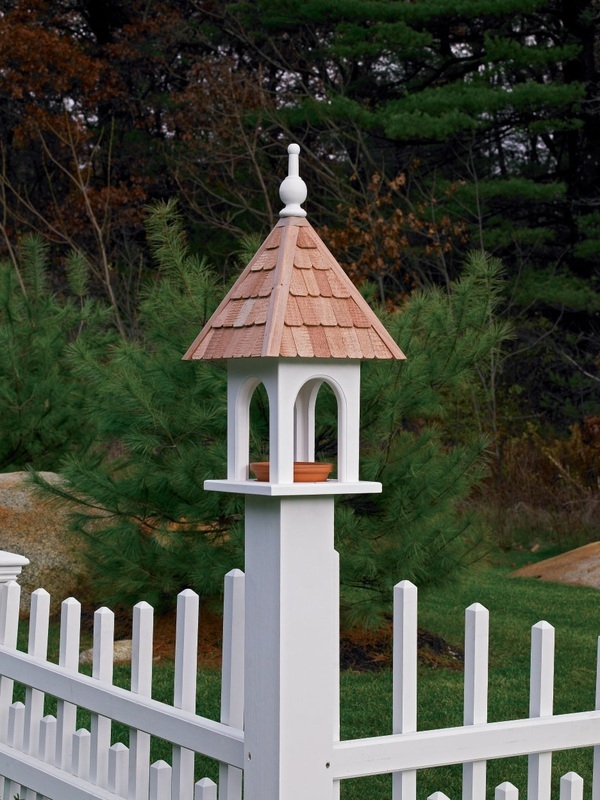 With it's classic style and natural cedar wood shingles, this feeder adds quaint country charm to any setting!